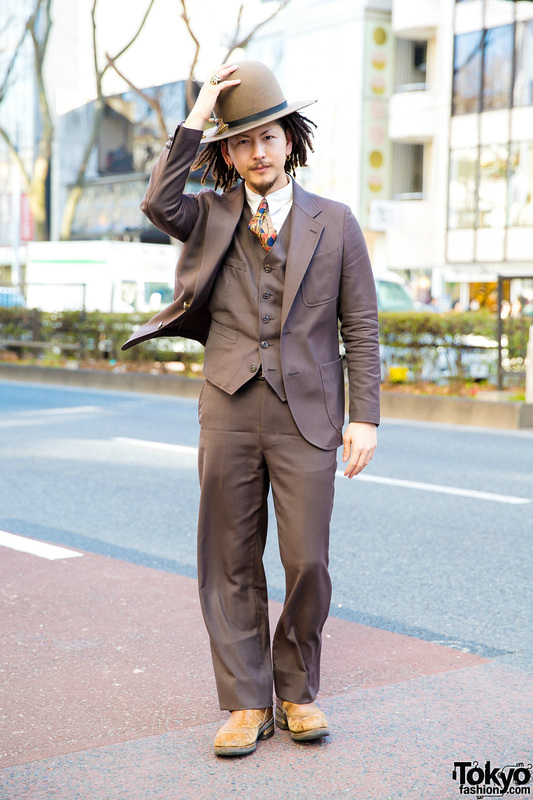 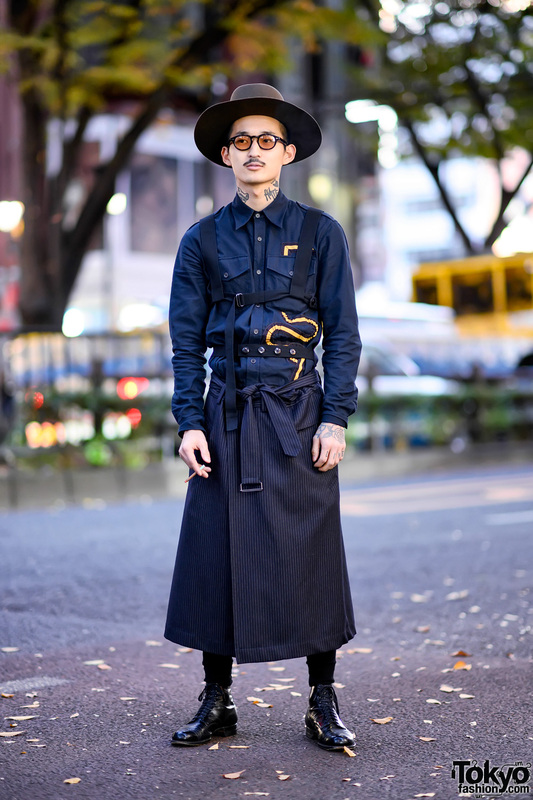 Japanese designer/artist on the street in Harajuku wearing Dries Van Noten with vintage dress shoes, a wide brim hat, and neck tattoos. 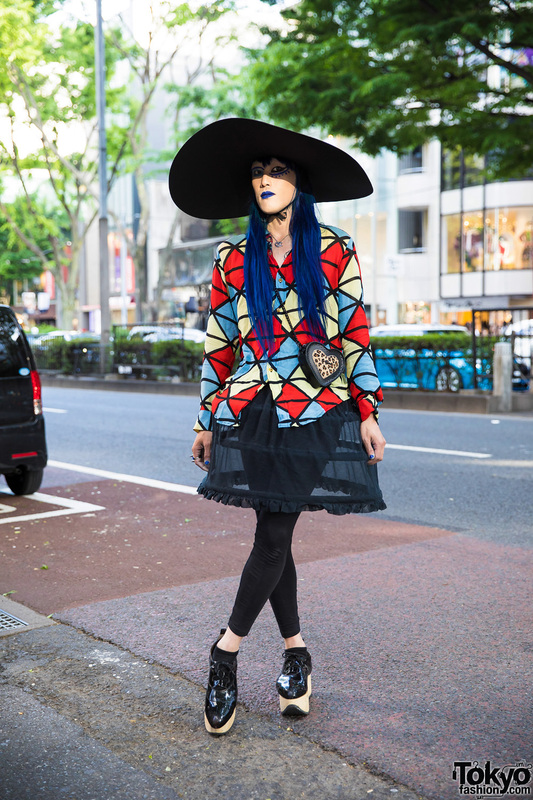 Harajuku fashion buyer wearing a printed shirt, hoop skirt, tights, patent rocking horse shoes and extra wide brim hat. 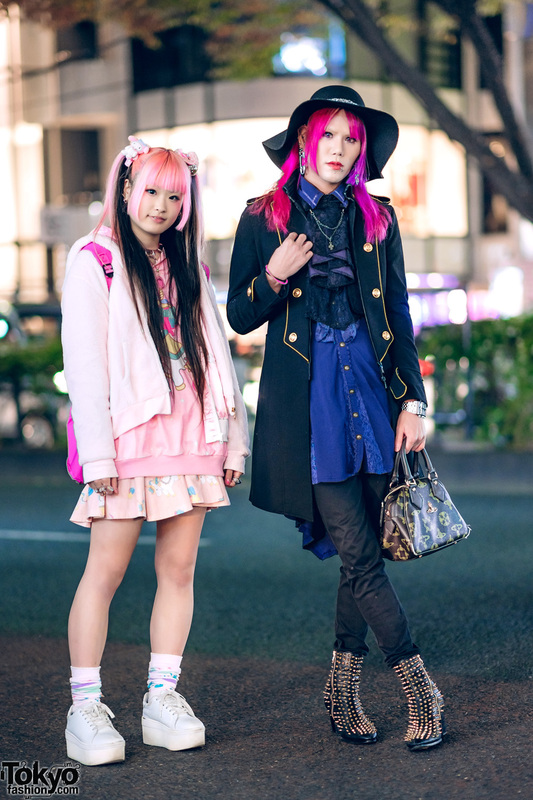 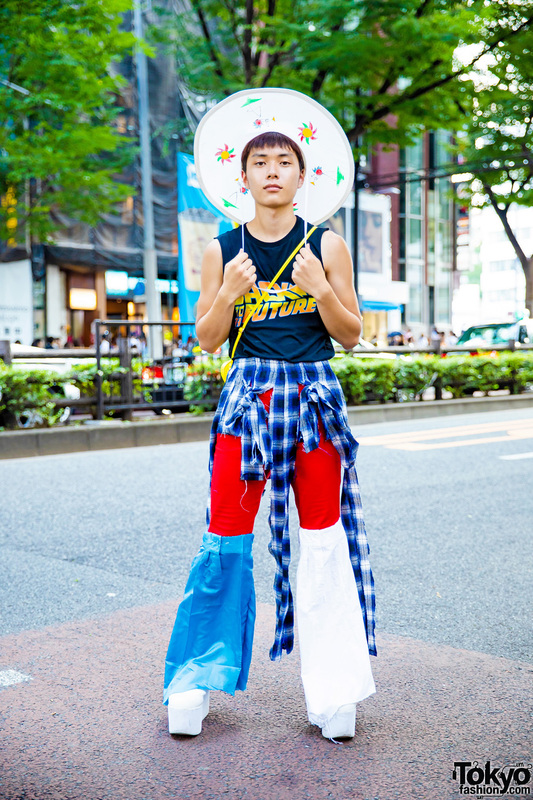 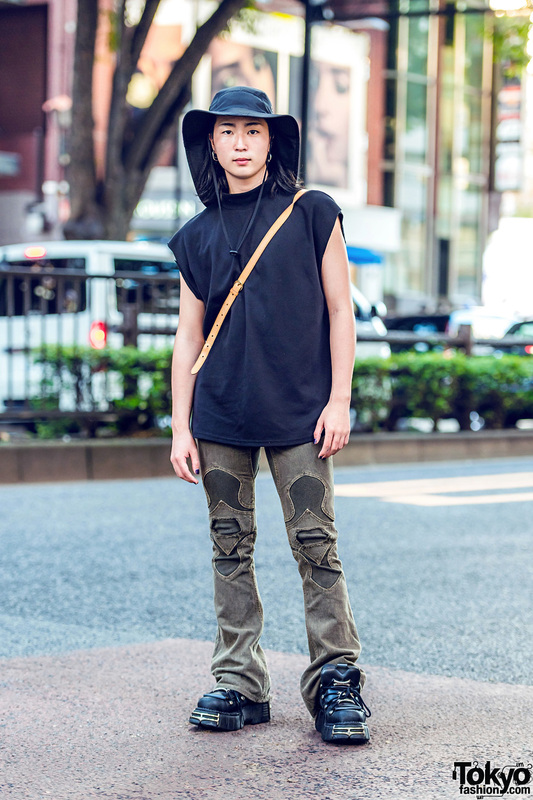 Harajuku guy in shredded denim fashion with denim jacket and matching pants, vintage A Clockwork Orange t-shirt, black boots, sling bag, red hat, and accessories. 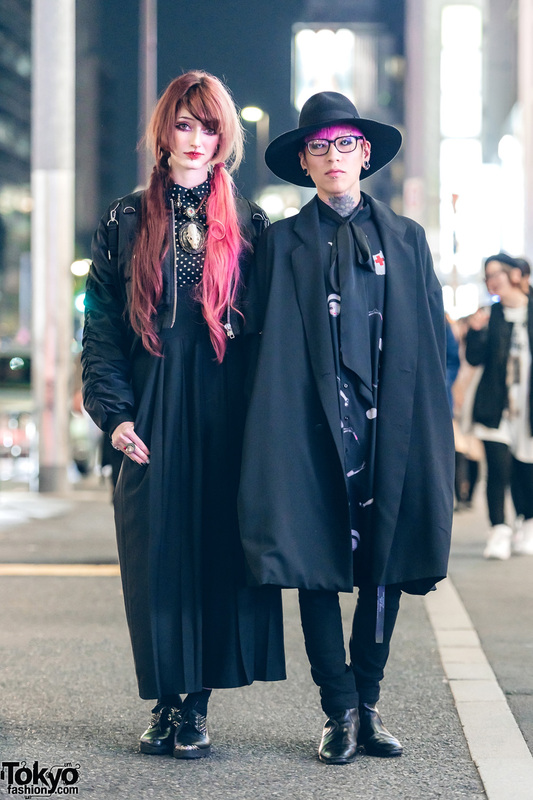 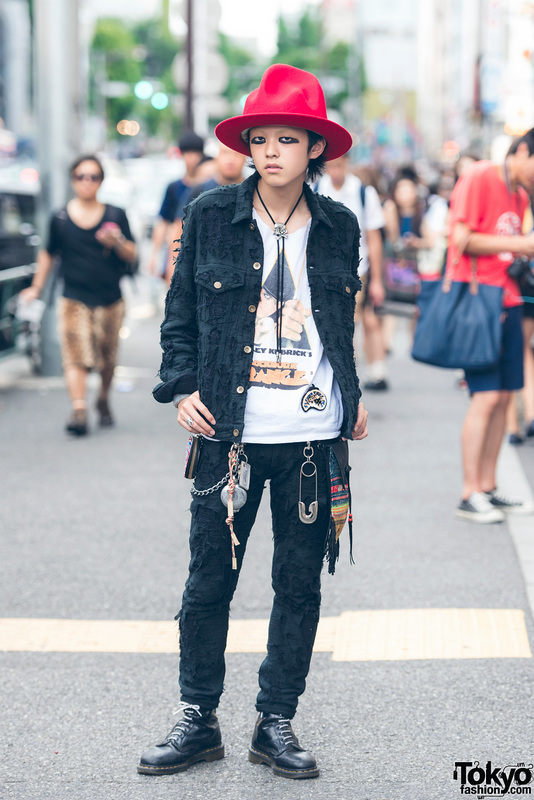 Japanese student showcasing a red-and-black androgynous street style in Harajuku.